Although cranberry juice is known to combat urinary tract infections (UTI), new research suggests it may also help reduce blood pressure. 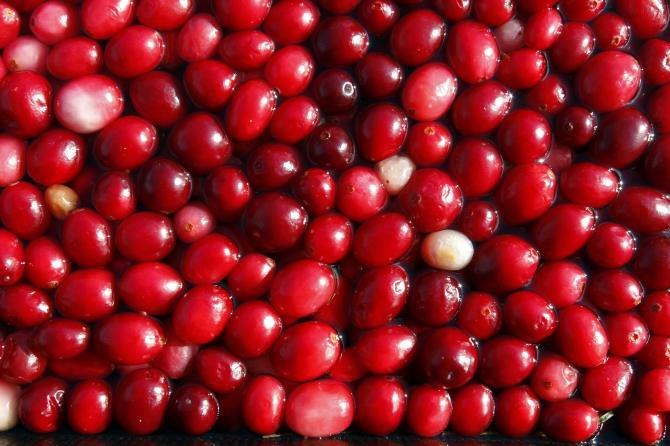 Cranberries contain vitamin C, alongside proanthocyanidins, which can help your cells recover from free radicals. In addition, cranberries also offer low levels of iron, zinc and manganese. In a study conducted by the U.S. Department of Agriculture, 56 participants were placed on either a controlled diet, which included consuming low-calories cranberry juice or a placebo beverage. The placebo beverage included matching color, flavor, calories, sugar and vitamin C.
The study observed participants for eight weeks. Researchers measured participants' blood pressure prior to the study, the middle and following the study. Individuals who consumed low-calorie cranberry juice displayed a dramatic reduction in blood pressure. Their blood pressure dropped from 121/73mmhg to an average of 118/70mmhg. As for the placebo group, participants displayed no change. Study lead author Janet Novotny noted that cranberry juice is rich in antioxidants, naturally occurring molecules in fruit, tea, wine and other foods, which have been associated with lower blood pressure in other studies. Prior studies conducted by researchers from Rutgers University, found proanthocyanidine can also prevent plaque formation on teeth; mouthwashes containing it are being developed to prevent periodontal disease. For some individuals regular intake of cranberry juice for months can kill the H. pylori bacteria, which can cause stomach cancer and ulcers. According to the Centers for Disease and Control, high blood pressure can increase risk for heart disease and stroke. Heart disease is the leading cause of death nationwide. In addition, nearly one out of three Americans (31.3 percent) have high blood pressure. Almost one in four American adults have prehypertension, which are blood pressure levels that are higher than normal, but not considered high blood pressure range. Having prehypertension raises your risk for high blood pressure.